Be FLY! First Love Yourself…. Be FLY. First Love Yourself. When I ran across this it immediately resonated with me… So often we put everything & everyone before ourselves. I know I have been guilty of this. We put our loved ones, jobs, activities, etc., ahead of our own personal needs. One thing I have learned is that if you don’t love yourself, you won’t be able to deal appropriately with others. Loving yourself requires self-care of the heart, mind, body and soul. Nurture yourself. Be patient with yourself. Be kind to yourself. Of course this sounds wonderful in theory but it’s much harder to put into practice. When you make a mistake, do you beat yourself up about it? Or, do you just think about it and move forward, determined to choose differently next time? Love is patient and kind. The same love that you extend to others should FIRST be given to you… Also , be cautious about comparison. We have all our own journey to walk. Don’t look into someone else’s journey and think you should be there. Your steps are ordered, just as theirs are. Choose to be present in the moment and keep progressing. Loving you requires, time, effort and energy. You, deserve your undivided and complete attention. What makes you happy? What makes you joyful? What makes you tick? When you live from a place of love, the world opens up so many opportunities and you will see your life begin to blossom and grow beyond your expectation. There is power and strength in loving. People are drawn to love… And it starts with you. 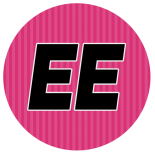 This entry was posted on June 27, 2014 by Toiah in Epiphanies!, Everything you want.